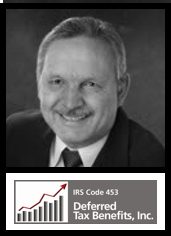 In the challenging world of tax depreciation, CCIM offers attendees an opportunity to become more educated on how to save their client’s money. Attendees of this course will spend some time getting reacquainted with cost segregation and how it can increase the ROI before and after the sale. Students will also review depreciation schedules before and after the sale and some clarification around bank math vs. IRS math. Then, using the removable dry wall tape as an example, students will share in real world examples and calculations to evaluate environmental history, budgets, and awards related to this example, as well as be introduced to real properties that show the true and potential benefit. Session I: Cost Segregation: Review of cost segregation, and the potential increase to ROI before or after the sale.